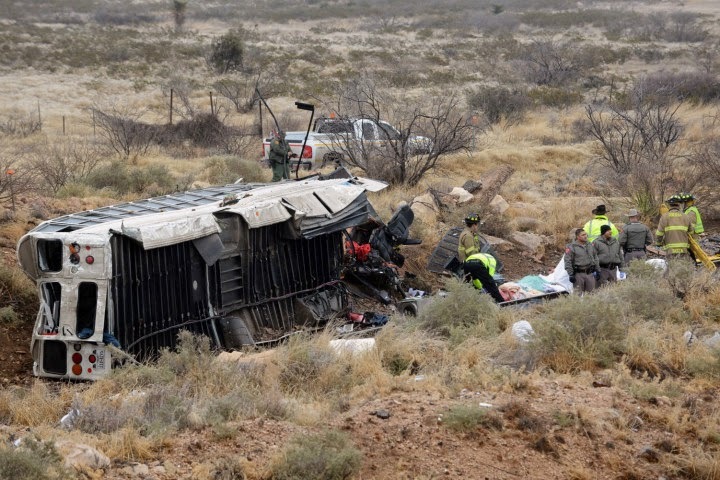 On Wednesday morning a Texas Department of Criminal Justice bus transporting twelve prisoners and three Corrections officers in West Texas skidded off of an icy highway overpass and down an embankment; colliding with a moving freight train. The lives of eight prisoners and two corrections officers were lost. The five others were taken to a local hospital for treatment. The extent of their injuries unknown.